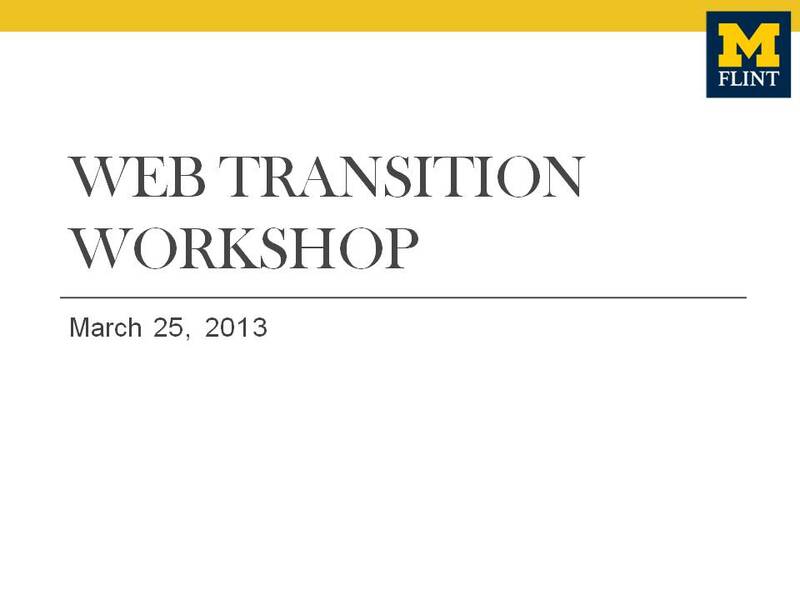 More than 60 people attended this morning’s Web Transition Workshop, but the conversation is just beginning as we move toward our October 1 launch date. All web content editors will be using Drupal by October 1, 2013. University Relations and ITS are working to ensure that the university website is responsive and easier for users to navigate. All departments’ web content will be migrated into Drupal by ITS. Migration and CMS training will take place beginning in June. University Relations will work with departments to develop content strategy. If you weren’t able to attend (or if you’d like a refresher on what you heard), the PowerPoint presentation is posted below. It includes in-depth information on the topics listed here, as well as links to resources for learning more.